Union Public Service Commission is the central run organization that is responsible for conducting Civil Service Examination. UPSC conducts exam for various government run sectors that come under Civil Services and other sectors like Engineering, Defence, Medical. Main purpose of UPSC is to recruit intelligent brains that can be given responsibility to run the country smoothly. During the British rule proposition was made for establishment of Public Commission that will appoint people who can run the administration. Thus on 1st October 1926 Federal Public Commission Service was established. Later when India got freedom the name was changed to Union Public Service Commission and was given constitutional status. Must Read: How to prepare for IAS or IPS Examination? 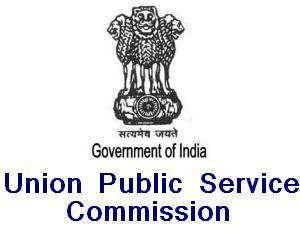 UPSC conducts exam in three phases. Paper 1 is language paper. Candidates have to choose any one language of their choice from 18 Indian languages. It carries 200 marks and is qualifying paper. Paper 2 is of English. It is conducted to check candidate’s knowledge of English language. Questions are asked on various aspects like grammar, vocabulary etc. It carries 200 marks and is qualifying paper. Paper 3 is essay writing. Candidates are provided with the topic and they have to write it in their own words. It carries 200 marks and comes under ranking category. These papers cover questions on General Studies. Each of them is of 300 marks (total of 600 marks). Candidate has to select any to subjects from the list of optional subjects. Each paper is further divided into two parts, 300 marks each. Thus together it makes the total of 1200 marks. Note: Papers 1 and 2 are qualifying papers while Papers 3, 4, 5, 6, 7, 8 and 9 are ranking papers. Following is the list of optional subjects. After qualifying both the exams candidates are called for personal interview. It is of 300 marks. Candidates are selected based on their merit rank.